Thanks to Grill'd at Wetherill Park, we are running a new Best & Fairest Competition for the Spring 2017 Season. This award is open to all registered players during the duration of the normal season (excluding finals), with nominations accepted from Round 6 onwards. It is a condition of registration that ALL players wear numbered shirts. The referee will take note of nominations based on the shirt number of the person nominated. Each captain will select a player from the opposing team. The match referee will select one player from either team. This will total 3 nominations per game. Should a captain not wish to make a nomination, the referee will nominate on their behalf. A player may receive more than one nomination per game. Weekly prizes of a Grill'd Burger voucher will be awarded to 3 players nominated per division. The player with the most nominations in every division at the end of the season will be declared the winner. In the event of a draw, the player with the most nominations from the referees will be declared the winner. In the event that a game is prematurely ended (called off), neither captain will be required to nominate a player. The referee, at his discretion, may nominate a player from a game that has been called off. A player not wearing a correctly numbered matching team shirt may not receive a nomination for his or her participation during that game. A player, who has been sin binned or sent from the field may not receive a nomination for his or her participation during that game. Nominated players awarded a weekly prize will be announced on the Fairfield Tag League Facebook Group and on this web site each week. 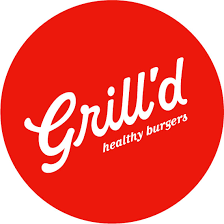 Weekly winners can collect their Grill'd Burger voucher from the sign on desk at the field on game nights. Weekly winners will be required to identify themselves satisfactorily with Photo Id to collect their prize. Season Winners will be announced on Facebook and on this web site at the conclusion of the season. Season Winners will also be notified via Phone or email based on the registration information they have provided. Every attempt possible will be made to contact the Season Winners in each Division. Season Winners simply need to make contact with Tag League to arrange to collect their prize. This can be done via Phone (1800 466 090), Email or Messenger. Season Prizes can be collected from the field on game nights or it can be posted to them. Season Winners will also need to identify themselves satisfactorily with Photo Id to collect their prize. Season Winners have until 12Noon on the 31st May 2018 to claim their prizes.